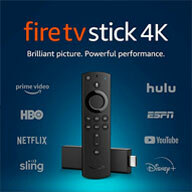 Also known as The Baxter Family Series. 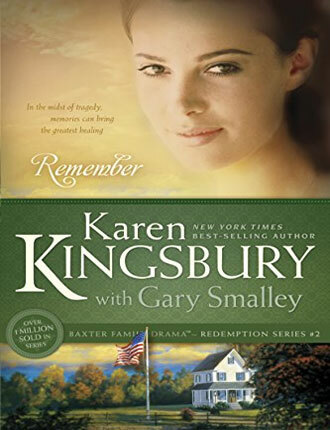 Fans will enjoy a personal note from Karen and Gary Smalley as well as discussion questions for book group use. Revisit the Baxter family in all their life-changing events, or share the series with someone who hasn’t discovered it yet. 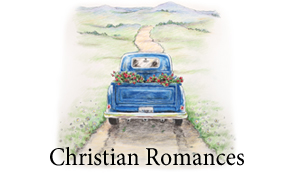 The Redemption series won Christian Retailing’s 2005 Retailer’s Choice Award for Best Series! The Redemption series won Christian Retailing’s Retailer’s Choice Award for Best Series - 2005! When Kari Baxter Jacobs finds out that her husband is involved in an adulterous relationship and wants a divorce, she decides she will love him and remain faithful to her marriage at all costs. This book shows how God can redeem seemingly hopeless relationships, and it illustrates one of Gary Smalley’s key messages: Love is a decision. 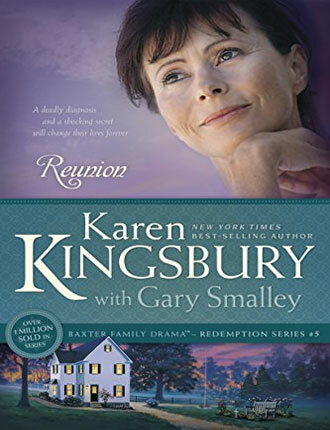 Redemption is the first book in the five-book Redemption series about the Baxter family―their fears and desires, their strengths and weaknesses, their losses and victories. 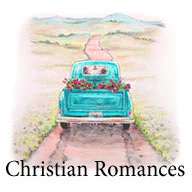 Each book explores key relationship themes as well as the larger theme of redemption, both in characters’ spiritual lives and in their relationships. 384-pages. Convinced she could make it on her own, Ashley Baxter has kept the most important people in her life at a distance―her family, the man who loves her, and the God she is sure can never forgive her. Now, just as she begins to open her heart, the events of September 11 rip into Ashley’s world and she is led to heartbreaking and hope-filled decisions that will forever change her life. This story vividly illustrates that we must value others more than ourselves, and it drives home one of Gary Smalley’s key messages: Honor one another. The Redemption series won Christian Retailing’s 2005 Retailer’s Choice Award for Best Series! This touching novel reunites readers with the Baxter family and focuses on the only Baxter son, Luke. He is determined to leave his faith and his past behind and embrace a new, free-thinking future. But what he doesn’t realize is that his past holds a secret even he doesn’t know. When Luke finds out, his comfortable new life is turned upside down, and he must turn back to his roots. 384-pages. 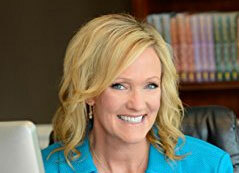 A fresh new look for the best-selling series from America’s number-one inspirational novelist, Karen Kingsbury. 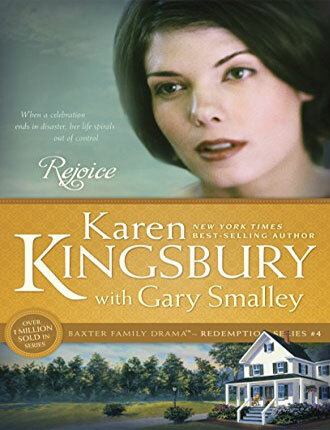 Fans will enjoy a personal note from Karen and Gary Smalley as well as discussion questions for book group use. Revisit the Baxter family in all their life-changing events, or share the series with someone who hasn’t discovered it yet. The Redemption series won Christian Retailing’s 2005 Retailer’s Choice Award for Best Series! In addition, Rejoice was a 2005 Gold Medallion Award finalist! 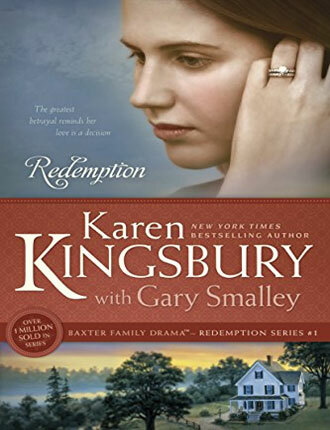 This latest release in the Redemption series reunites readers with the continuing saga of the Baxter family. Brooke Baxter has achieved everything this world has to offer—a prestigious career, a beautiful home, and two wonderful children. Her recent return to her faith is an encouragement to her family. But if she faces tremendous loss, can her fledgling faith and her rocky marriage survive? 380-pages. 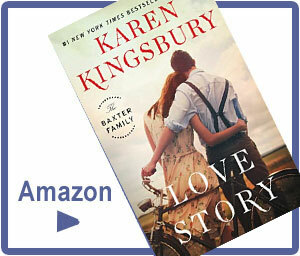 A fresh new look for the best-selling series from America’s number-one inspirational novelist, Karen Kingsbury. 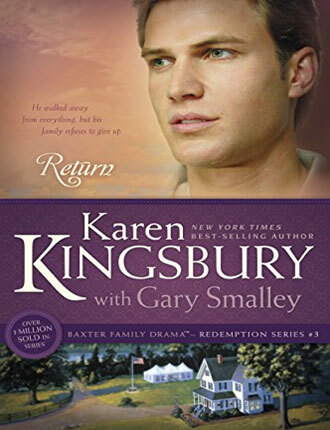 Fans will enjoy a personal note from Karen and Gary Smalley as well as discussion questions for book group use. Revisit the Baxter family in all their life-changing events, or share the series with someone who hasn’t discovered it yet. The Redemption series won Christian Retailing’s 2005 Retailer’s Choice Award for Best Series! In addition, Reunion was a 2005 Gold Medallion Award finalist! This touching story allows us to see into the lives of the Baxter family as Erin and Sam attempt to adopt a child. As the family looks forward to a heartwarming reunion, they find out that Mr. and Mrs. Baxter have a secret that could change their lives forever. 393-pages. #1 New York Times bestselling novelist, Karen is America's favorite inspirational storyteller, with more than twenty-five million copies of her award-winning books in print. Her last dozen titles have topped bestseller lists and many of her novels are under development with Hallmark Films and as major motion pictures. Karen is also an adjunct professor of writing at Liberty University. From the day they met, John and Elizabeth were destined to fall in love. Their whirlwind romance started when they were young college students and lasted nearly thirty years. So when John Baxter is asked to relive his long-ago love story with Elizabeth for his grandson Cole’s heritage project, he’s not sure he can do it. The sadness might simply be too great. But he agrees and allows his heart and soul to go places they haven’t gone in decades. Back to the breathless first moments, but also to the secret heartbreak that brought John and Elizabeth together.